Paola Batistoni is a Research Director at ENEA – Frascati (Italy), where she has worked on Fusion since 1984 and has held the positions of Head of the Fusion Neutronics Section and of the Tecnology Transfer Unit. She has been Principal Investigator of numerous neutronics experiments at 14-MeV Frascati Neutron Generator devoted to the development of nuclear data for fusion and to the validatition of the ITER nuclear design and in the frame of the European Fusion Technology Program. 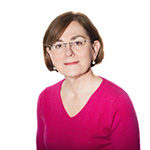 She is currently Project Leader for the Work Package Technological Exploitation of JET DT operation in the frame of the EUROfusion programme. Within the framework of the EUROfusion programme, the JET experiments are devoted to the preparation of ITER, whose exploitation is a pillar of the European fusion programme. In parallel to the physics programme, a work-package of fusion technology projects is being carried out in conjunction with the planned Deuterium-Tritium (DT) experiment at JET with the objective of addressing ITER’s key nuclear aspects on which we still have limited experience. The aim is to obtain at JET the first complete and consistent “nuclear case” for a tokamak using the DT fuel cycle. This includes the accurate measurement of the neutron source and radiation field in the device and the surrounding areas as well as the effects on materials exposed to 14 MeV neutrons, the tritium inventory in plasma facing materials, the amount and type of waste produced, and the occupational radiation exposure. Experiments, analyses and studies are performed in all these areas.The proposed 14 MeV neutron budget for the JET DT operations is nearly an order of magnitude higher than any previous DT campaigns in fusion experiments. The unique 14 MeV neutron yields produced, and the use of Tritium, will be exploited as much as possible to validate codes, models, assumptions, procedures and data currently used in ITER design thus reducing the related uncertainties and the associated risks in the machine operation.This overview presents the results achieved since the project start in preparation of DT operations.